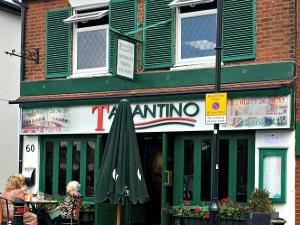 Tarantinos01277 263633work CafeEnjoy some fantastic Italian food in relaxing surroundings. Tarantino also offers live music every Friday & Saturday. Enjoy some fantastic Italian food in relaxing surroundings.